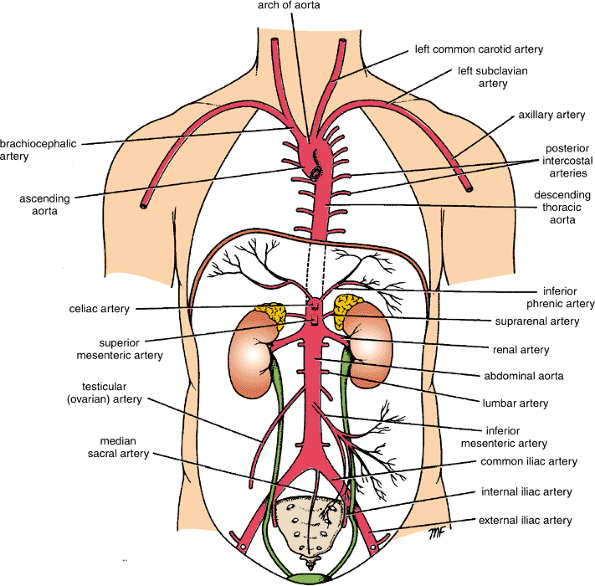 This page is dedicated to tracing the arteries of the body back to the aorta. The common carotid artery splits into both the internal carotid artery and external carotid artery. The left subclavian artery is a direct branch of the aorta. In males this will be the testicular artery. In females this will be the ovarian artery.